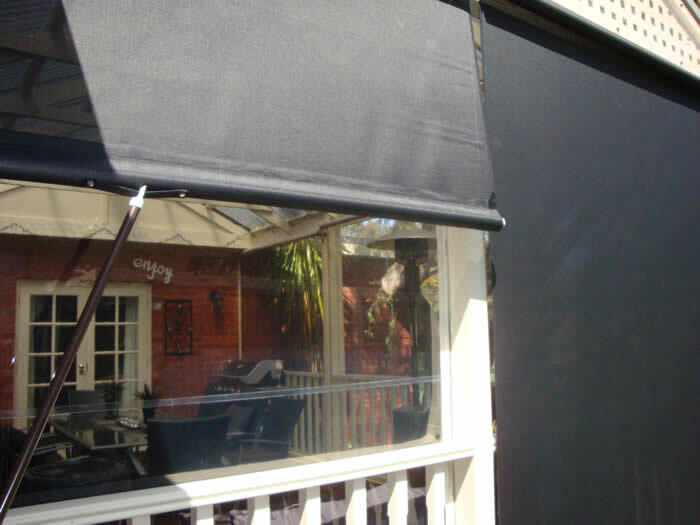 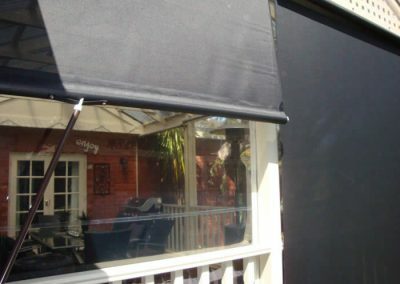 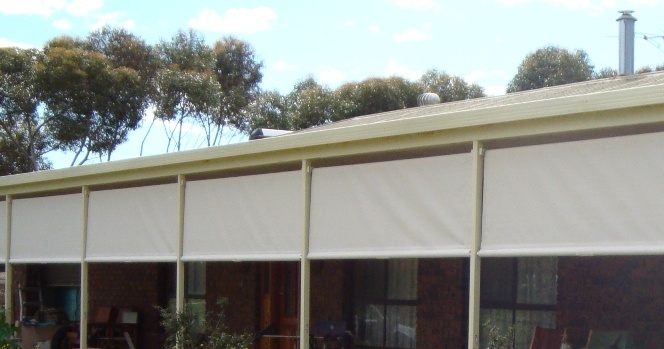 Skyworld Sunshade blinds are an extremely economical way of providing protection from the heat & glare of the sun. 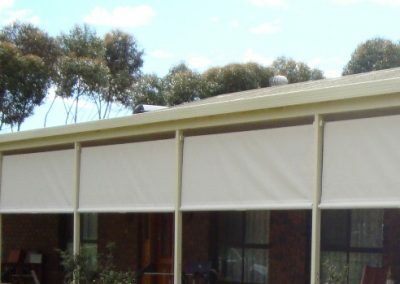 Often used on the outside of pergolas and balconies, they can also be used to provide protection & privacy to windows & doors of a property. 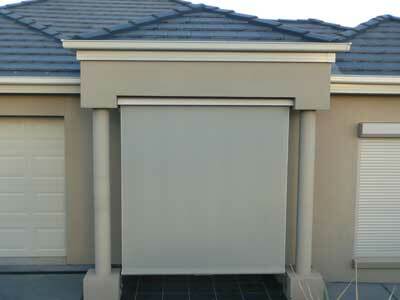 As they are only fixed at the top and bottom, they are an ideal solution for between shaped columns.  Blocking the sun in summer and allowing it in in winter reduces energy costs. 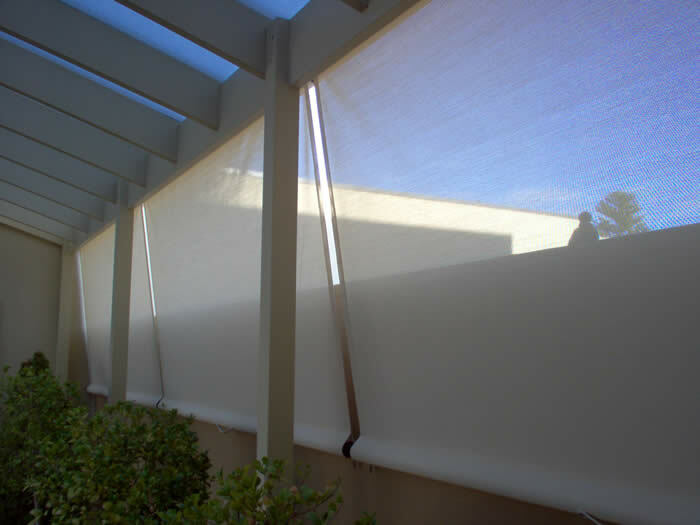 Block harmful UV rays while still letting some natural light in. 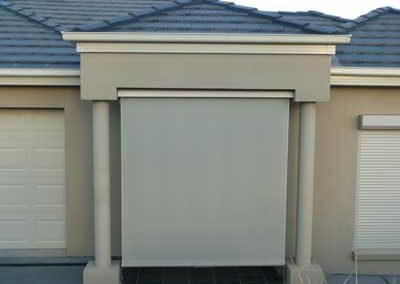 An easy solution for between columns or posts.